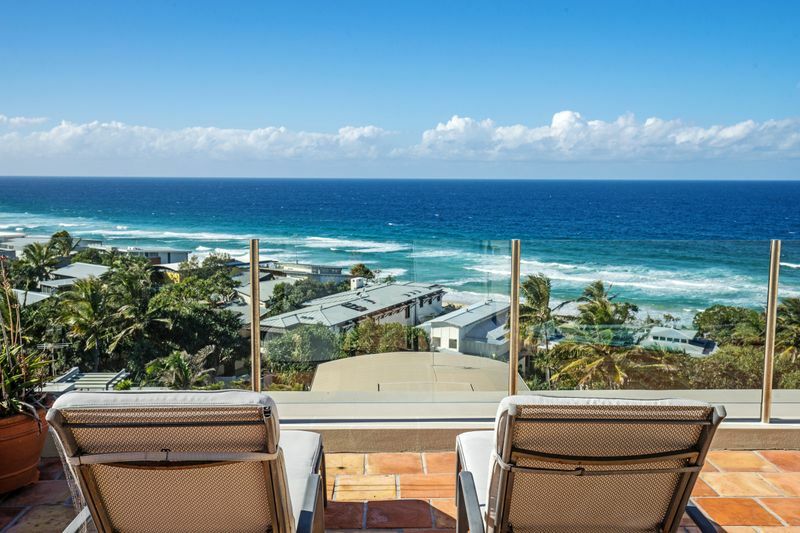 9/18 Bryan Street, Sunshine Beach, is situated in a private complex with security gate entry. 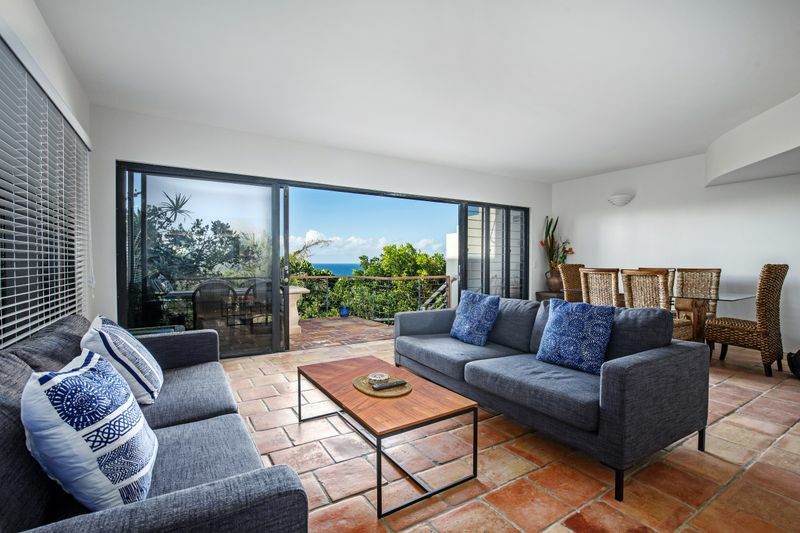 This Tuscan inspired townhouse is close to everything in the very heart of Sunshine Beach. 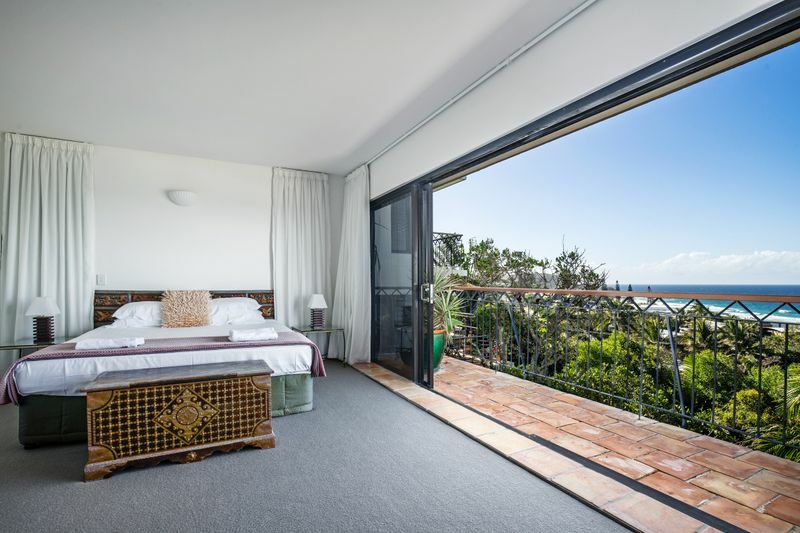 Split across 3 levels and with a private rooftop terrace, the property sleeps up to 6 guests across 3 bedrooms. Two of the bedrooms are in the main house and one is on the ground floor with a separate entrance and courtyard. 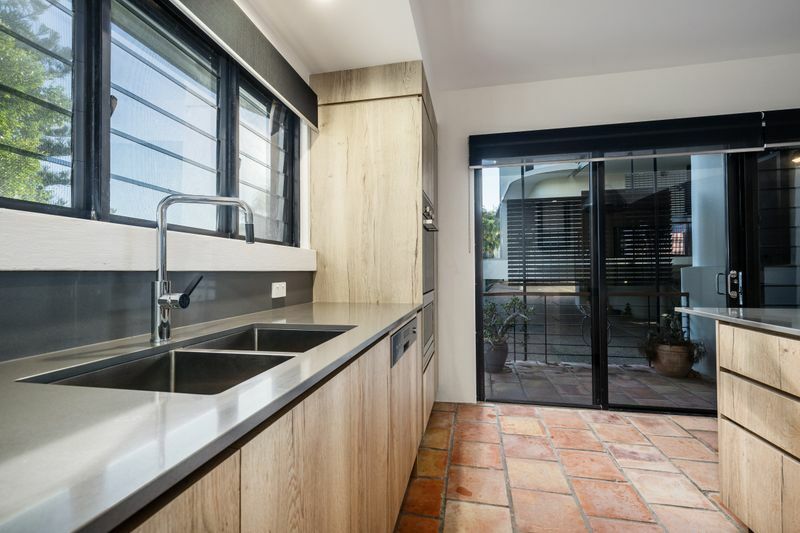 9/18 Bryan Street, Sunshine Beach, has been recently refurbished with a new kitchen, bathrooms and carpets. 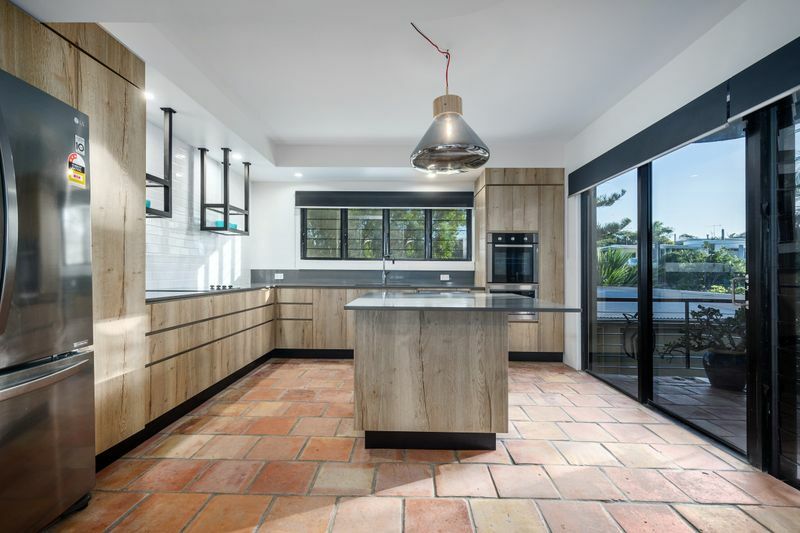 Terracotta floor tiles and cool white walls are reminiscent of a traditional Mediterranean villa. And with the sounds and smells of the ocean drifting up from the beach, you could well imagine that you’re there. Ascending the curved entry staircase to the first level brings you to the living area. 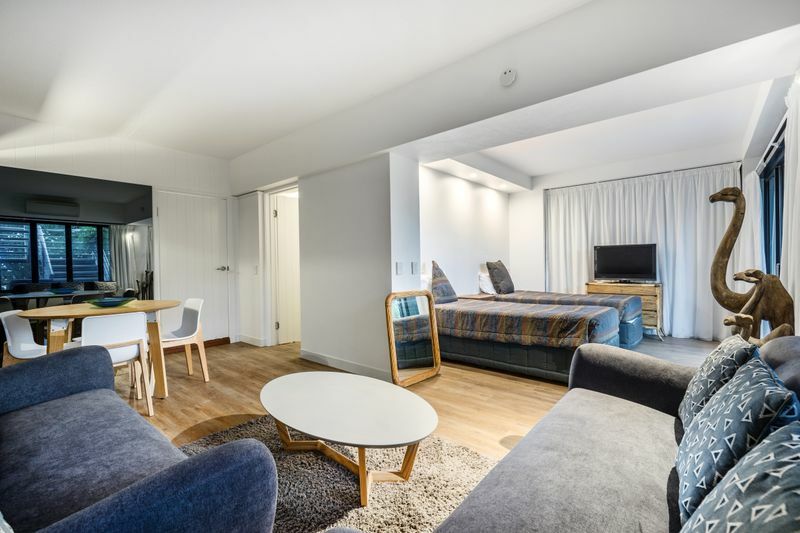 There is a modest but comfortable lounge, a dining area and the brand new fully-equipped kitchen. The living area opens out onto a balcony with a stone outdoor table setting. 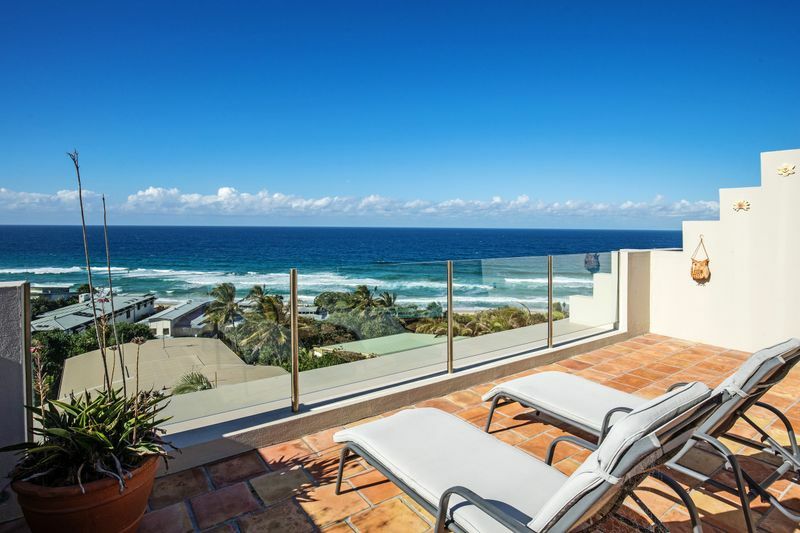 Enjoy the spectacular views out to sea and early morning sunrises. There is also a small balcony that opens out from the kitchen, allowing lots of through-air in the summertime. On the upper level of 9/18 Bryan Street, you’ll find the bedrooms and main bathroom. 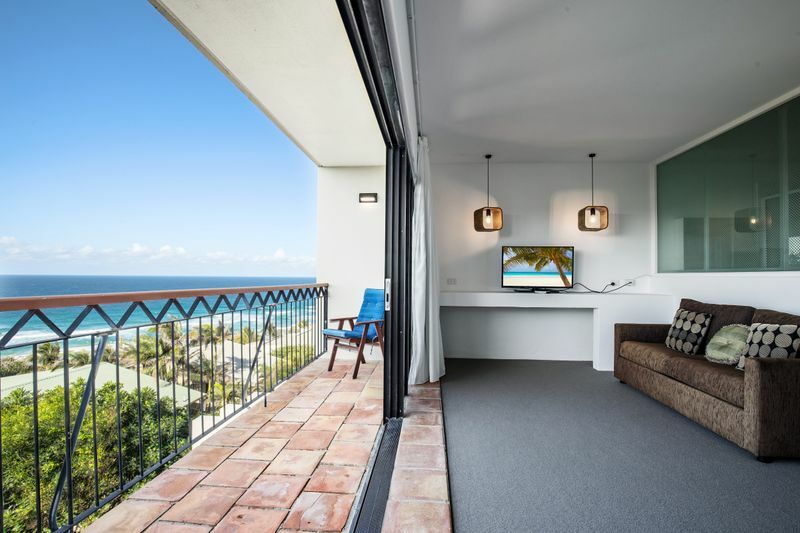 The master suite, featuring a King bed and huge walk in robe, has expansive views out over the ocean. Relax and enjoy from the comfort of bed or the balcony. 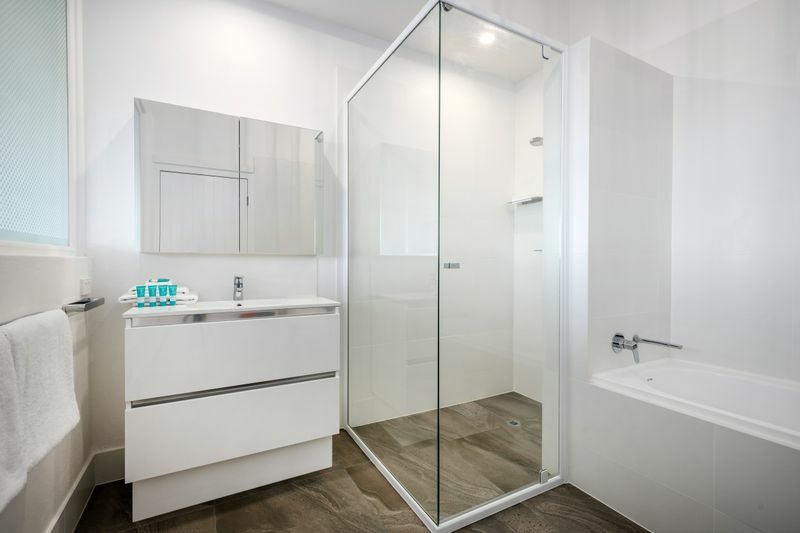 The brand new ensuite includes both a walk-in shower and bath. 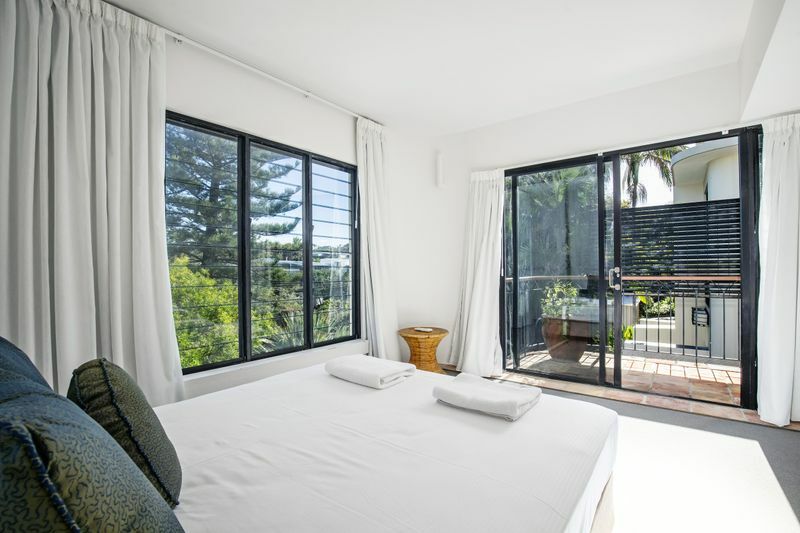 Bedroom 2 features a Double bed and also has its own balcony overlooking the front of the complex. 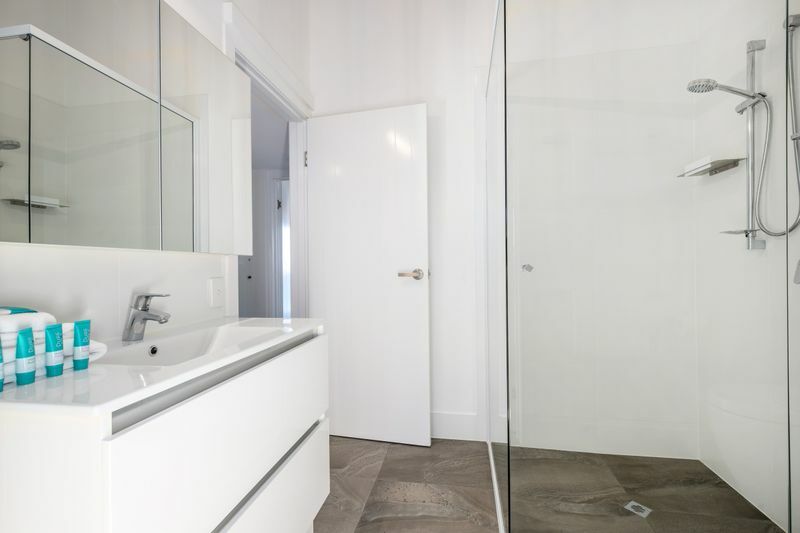 It has direct access to the main bathroom, also recently renovated and providing a spacious walk-in shower. All bedrooms are air-conditioned. On the top level of the house, there are two private rooftop terraces facing east and west. These allow you to catch the sun at all times of the day. 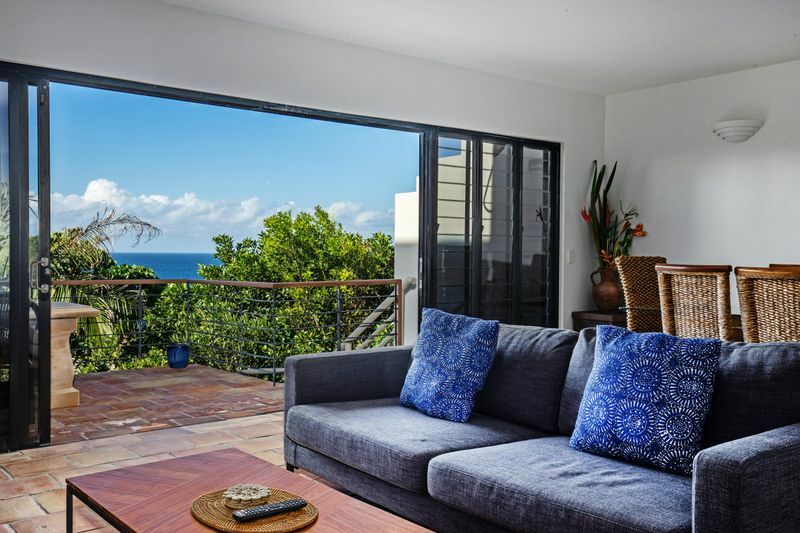 Watch the sun come up and the whales go by while enjoying your morning cuppa. There are a sink and fridge on this level for keeping those afternoon drinks cool, and a table and chairs and sun-loungers are provided for guest use. A clever addition to this house is the ground floor studio, featuring 2 Single beds, 2 couches and a small dining table. 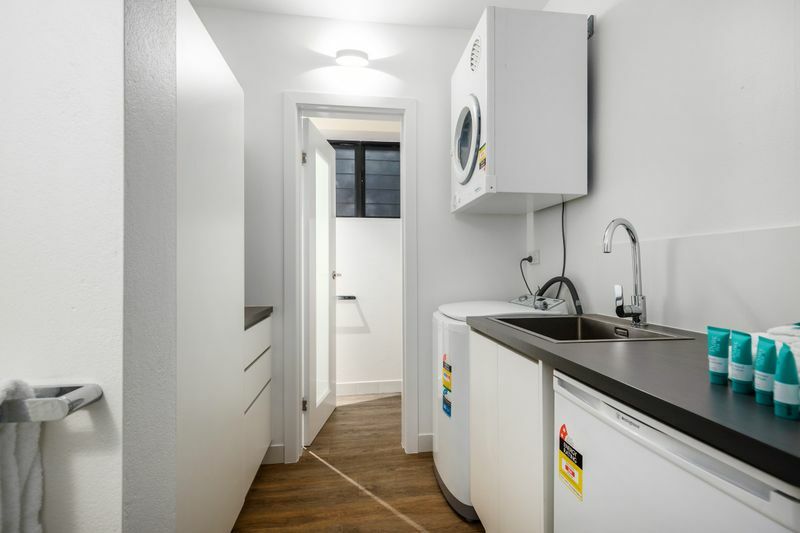 An adjoining bathroom doubles as the laundry with a washer and drier. It has its own entrance adjacent to the main house entrance. The studio can also be accessed by stairs that lead from the private courtyard at the rear up to the first level of the main house. The complex has its own pool with shallow entry, great for younger children. There is a nice grassed area next to the pool from which to enjoy the afternoon sun and the tropical garden. Parking is provided for 2 cars (both undercover). 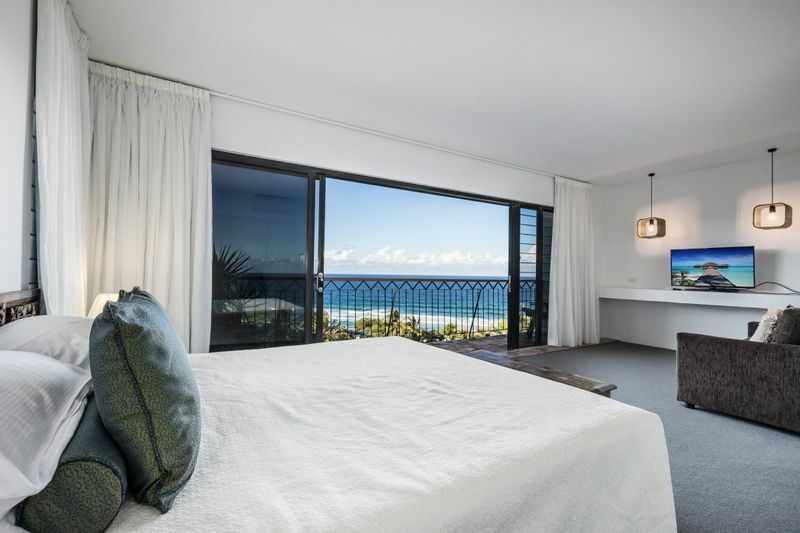 The house is very centrally located in the centre of Sunshine Beach village and is a very short stroll to the patrolled beach. Choose to eat in or venture out to the numerous restaurants and cafes that are on offer. 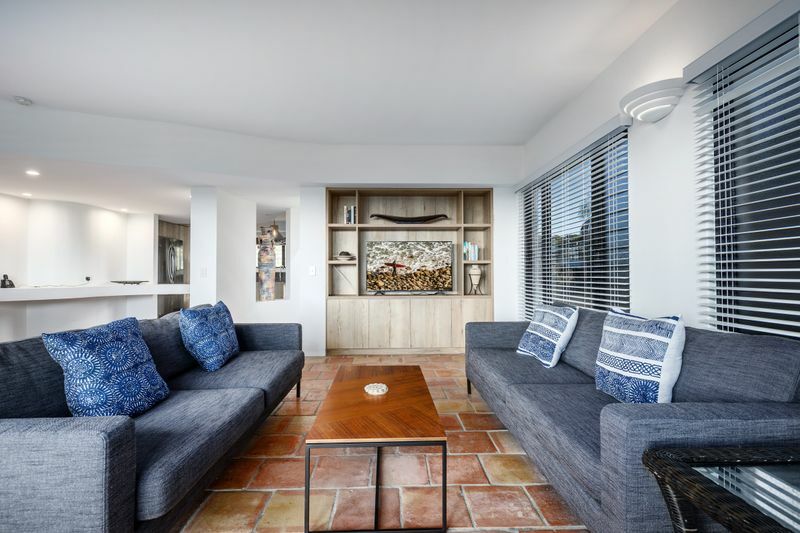 Contact us today on 1300 810 944 or submit an enquiry and let us arrange your next Sunshine Beach holiday accommodation at 9/18 Bryan Street.